E-Gift cards may be purchased at CharmedAroma.com. 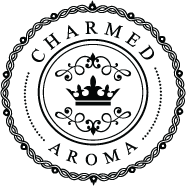 This card is issued by Charmed Aroma and is redeemable for merchandise only when redeemed online at CharmedAroma.com. E-Gift cards may not be returned, applied to previously purchased merchandise, redeemed for cash, or used to pay down a credit card balance. All returned items that were purchased using an e-gift card will be refunded as merchandise credit back onto an e-gift card. E-Gift cards have no expiration date. These terms do not apply to e-gift cards received in conjunction with special events.